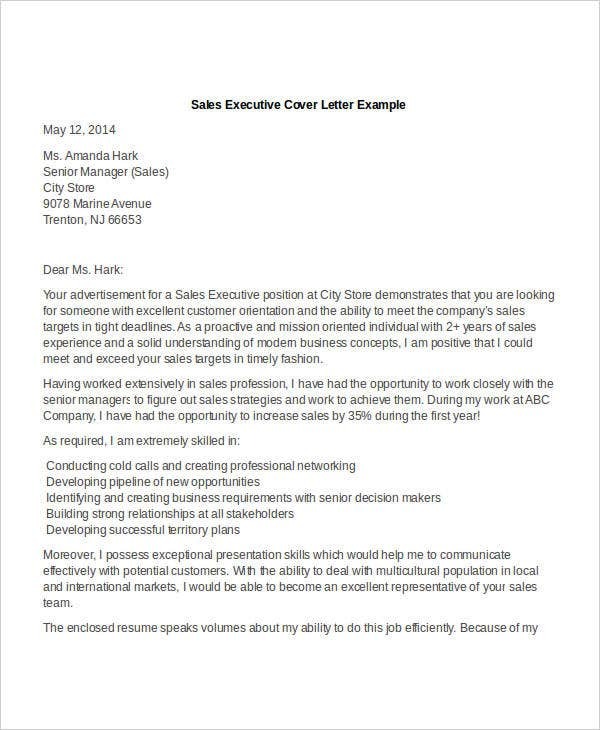 You may already be familiar with such things as a resume writing template. 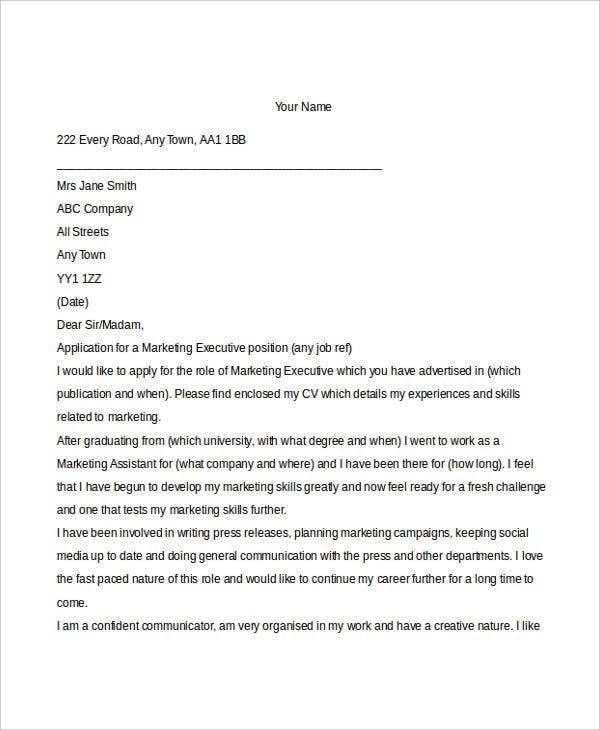 But one particular thing about resume templates is that you may find specialized templates for different positions, such as for executive positions. After all, specific jobs have specific qualifications, hence why you can find templates made with particular jobs in mind. 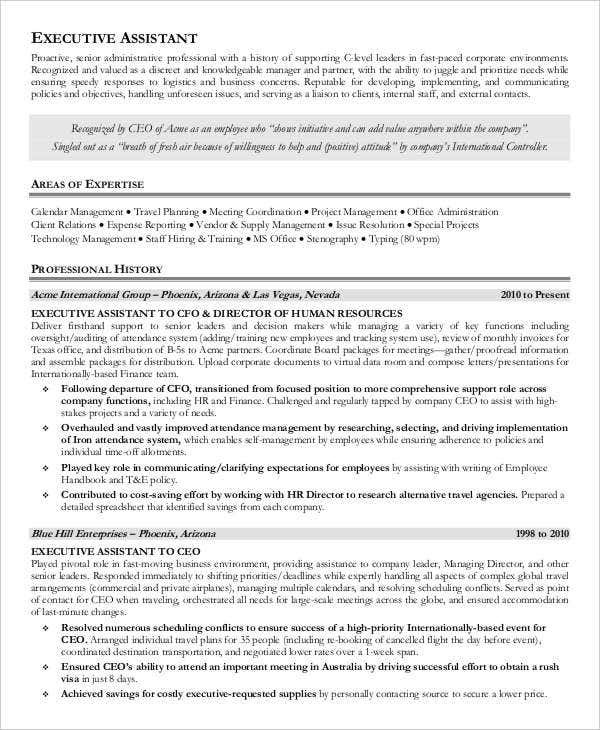 Most basic resume templates follow a particular pattern, in that they give you a basic framework that you can make uniquely your own. In fact, all you really need do is fill in the specifics, such as your particular qualifications for a job, though a template can make generalizations for each job. 1. 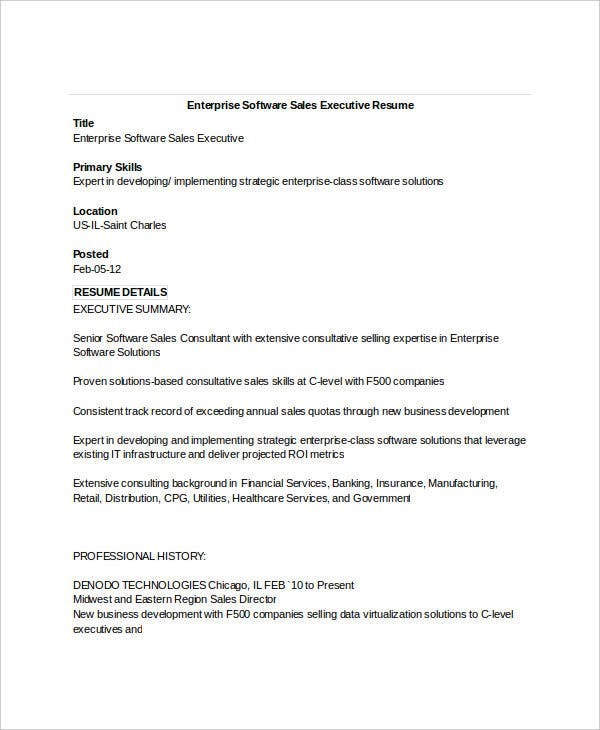 What Are Executive Resume Templates? That they concern particularly high-powered positions. Unlike low-level management, an executive’s responsibilities would have to do with a company’s management, less so on individual employees. That they are not limited to business-related positions. 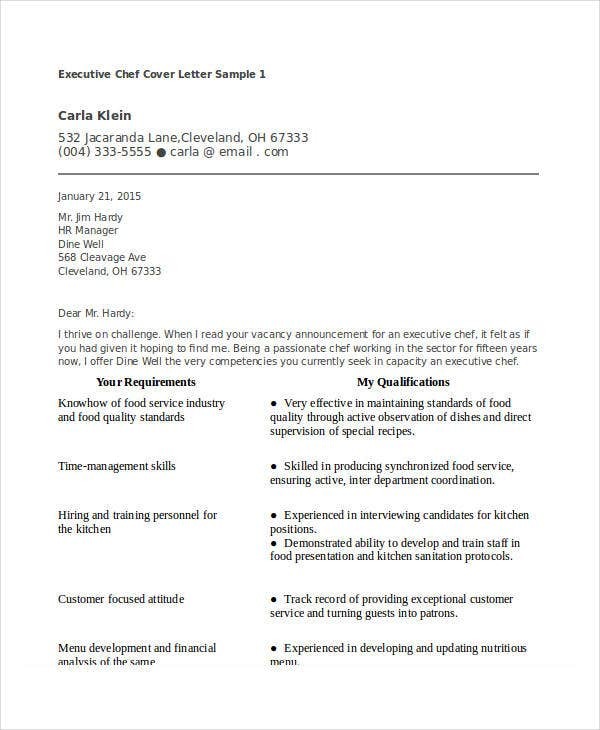 You can find similar positions in other fields, such as an executive chef, for example. 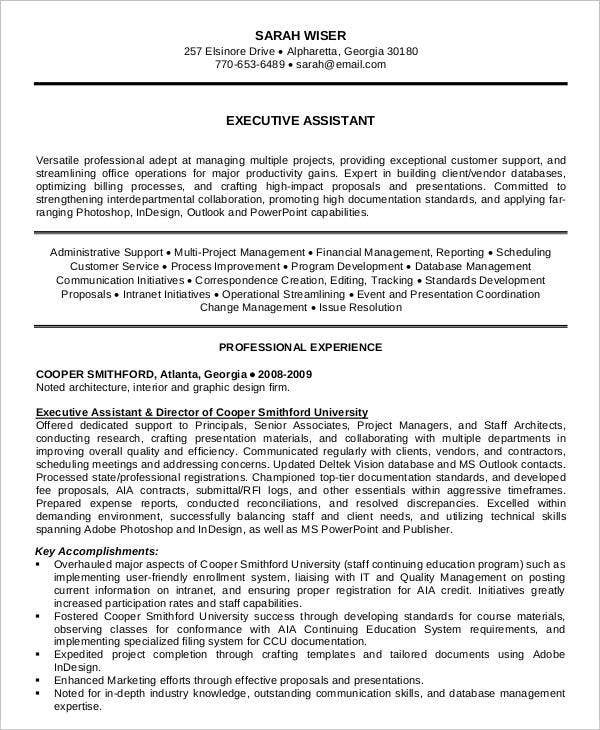 These templates can include similar jobs, which are themselves executive positions, albeit junior ones, like executive assistant resume templates, whose positions can require them to stand in for their superiors. 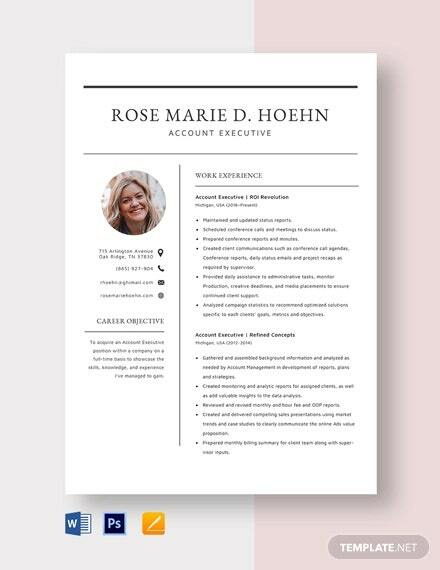 It is fairly easy to mass-produce your resumes, as you only need to download whatever template suits you once. After that, you can make as many copies as you need. Your chosen templates can easily be modified to suit whatever company and position you consider. This allows you to tailor your templates to maximize their effectiveness. All of these methods can save you time by making the process of making resumes more efficient, and be giving you more time to make them more effective. 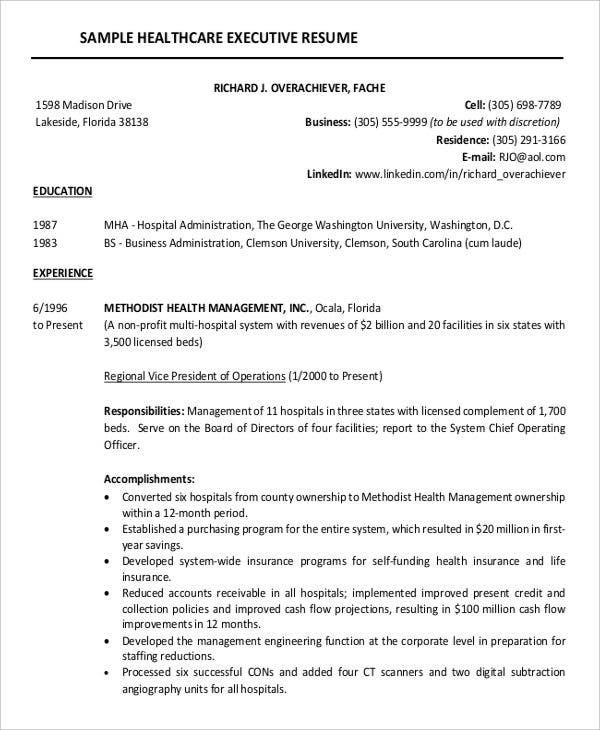 3. Who Can Use these Resume Templates? 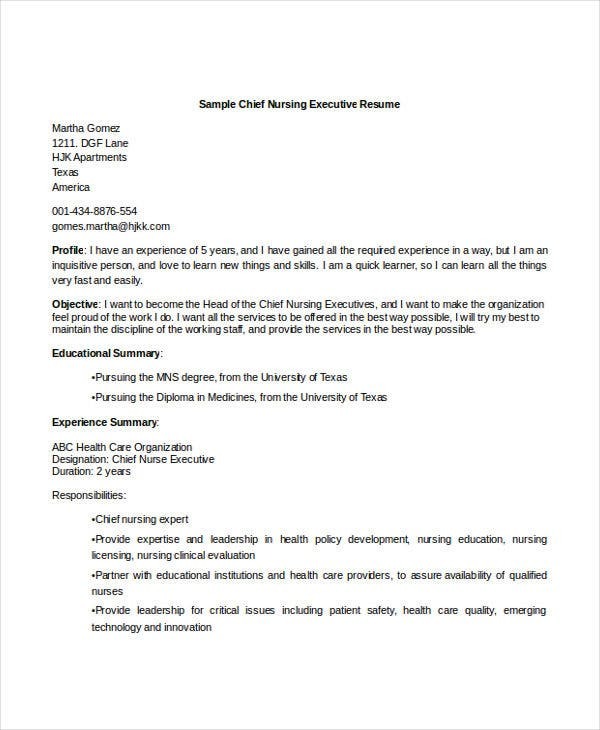 As the name implies, tools like free executive resume templates can be best used by those with the qualifications for senior management positions. 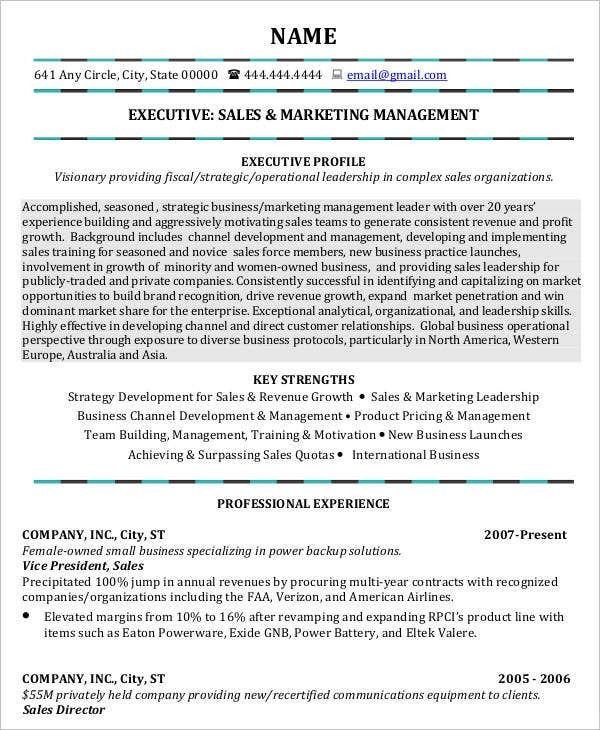 While this does refer to executives, the category can be narrowed down even further such that you can name specific people who could possibly use the templates. 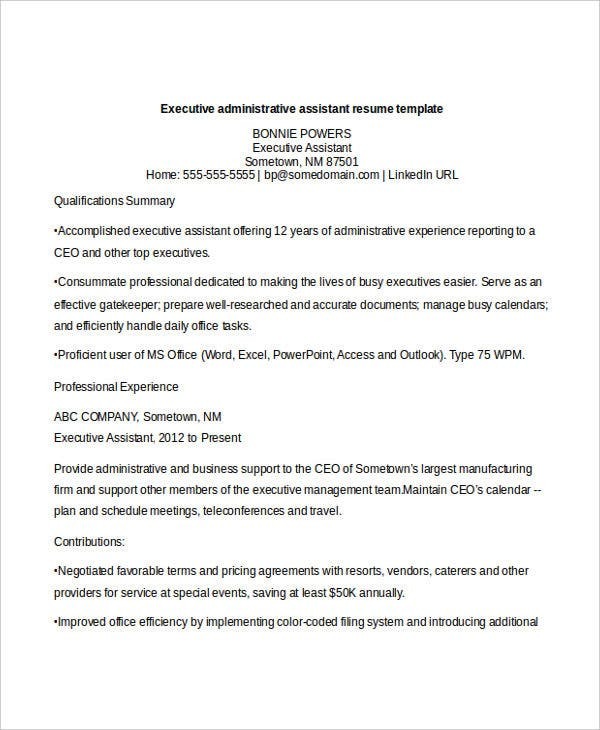 Entry-level candidates can have a use for such templates. While you may not expect entry-level candidates like fresh graduates to be able to acquire these jobs, there are some executive jobs available to entry-level candidates. With that in mind, those kinds of candidates should find some of the selections here useful. Experienced executives can definitely find these templates useful. 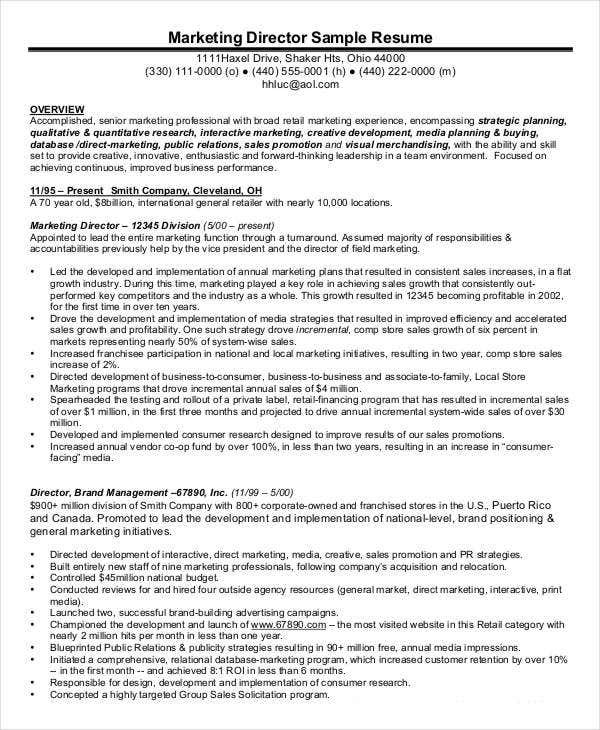 Being that these kinds of hires would have years of experience under their belts, they may well appreciate such templates. 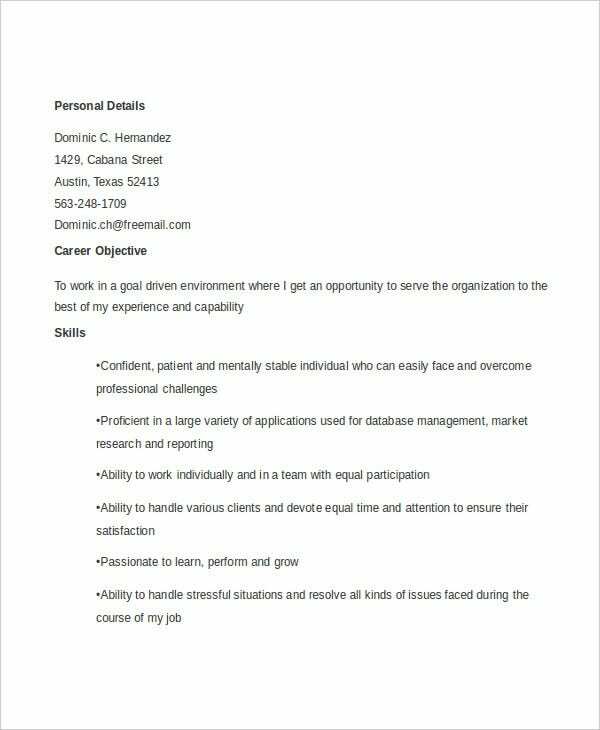 Some of these templates would definitely work well with veteran executives, as they can reflect the amount of experience they have collected. Lateral hires can similarly find these useful. 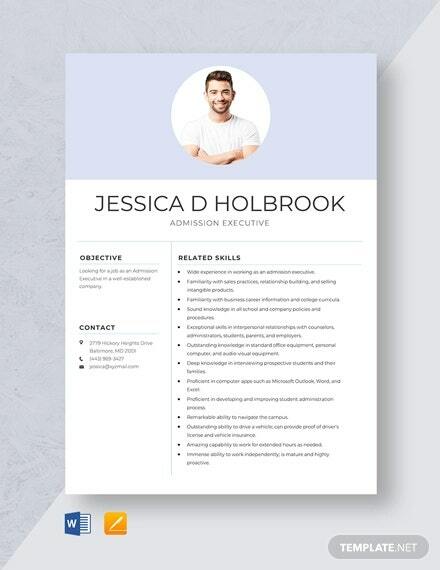 Being that such a hire would be interested in selling himself to another company, it might help to use these templates in order to present a favorable picture. It is further to the advantage of a lateral hire if that image allows him to negotiate for a position comparable to the one he left behind. 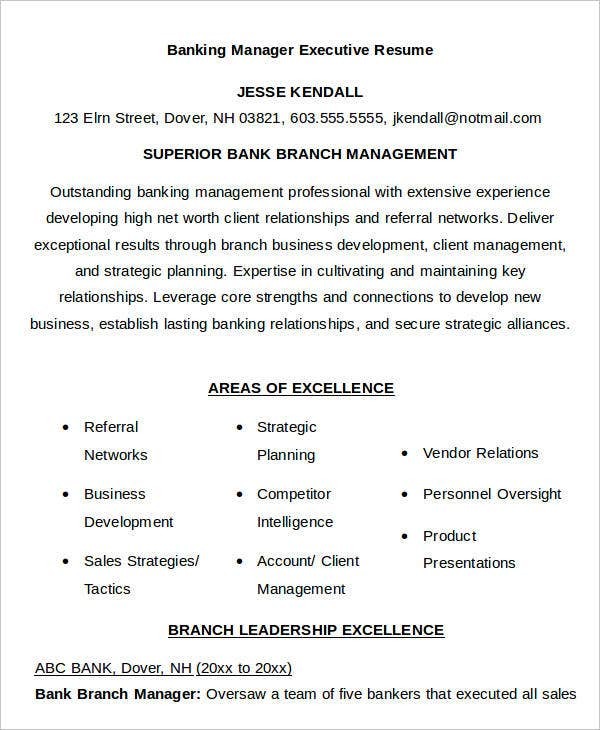 Bank managers are one such example, as there are templates that can speak as to their experience developing client relationships and expanding the bank’s influence. 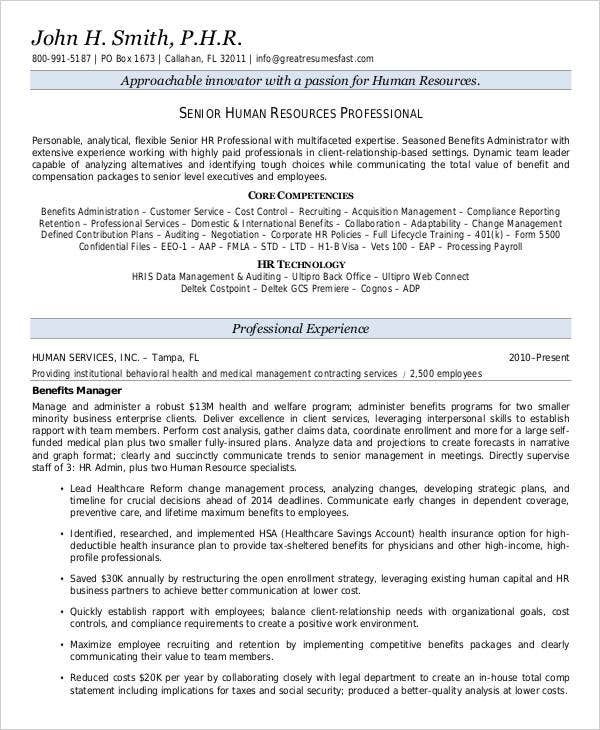 HR personnel can definitely find HR resume template that can help them present their skills managing a company’s personnel. 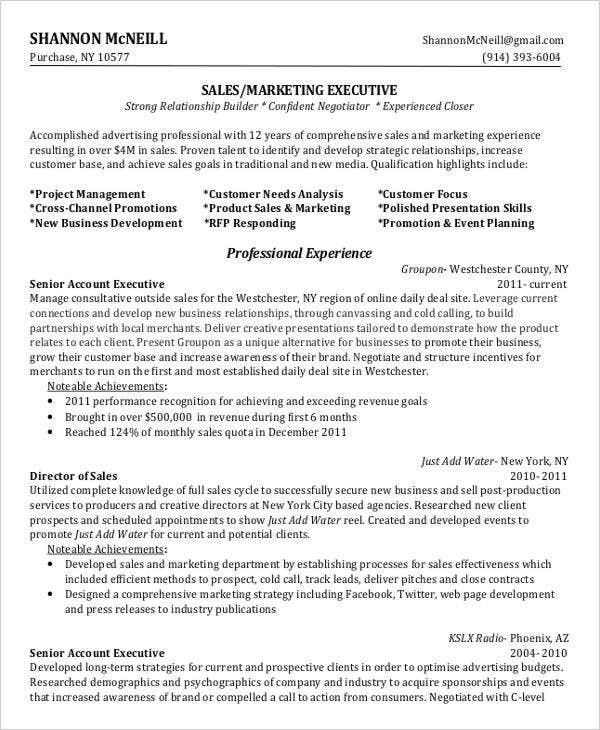 Sales executives can also be served well by some of the templates on this page, is that there are examples that can help explain their skills such as familiarity with sales trends and working within a team. 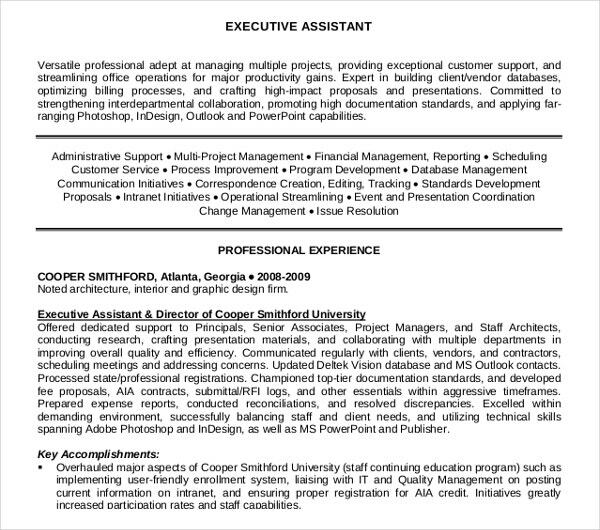 If you wanted to make an executive resume, you would have to keep some steps in mind. 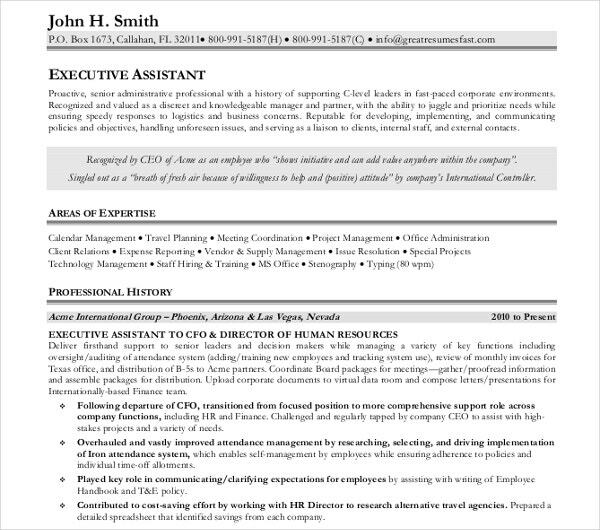 Thankfully, these resumes have parallels with other types, so that you may see similar processes in those other resumes. First, include your name, contact information, and a short introduction to yourself. State your previous work experience, preferably in reverse-chronological order. Under each of your previous jobs, list any notable achievements and duties you performed while in that position. 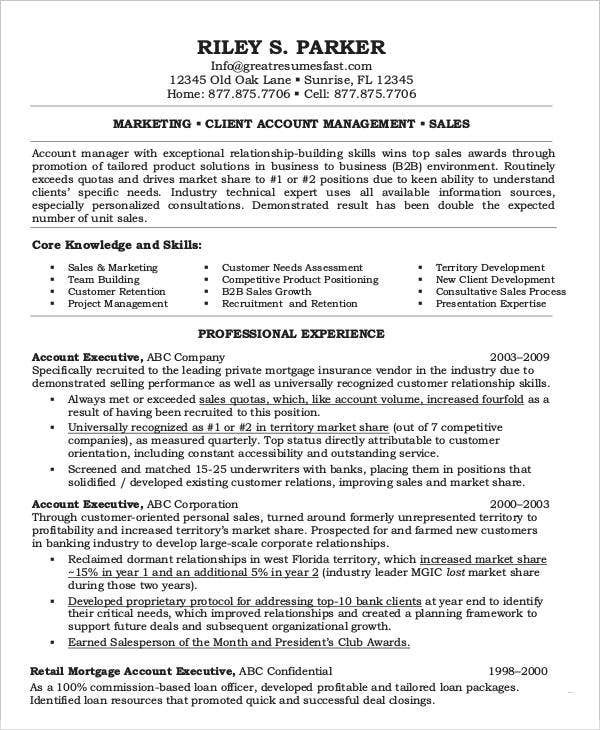 After that, you can mention any relevant, concrete skills you have that would be beneficial to the position. Organizational skills, as you would have to demonstrate an ability to manage large numbers of people and keep company projects organized. 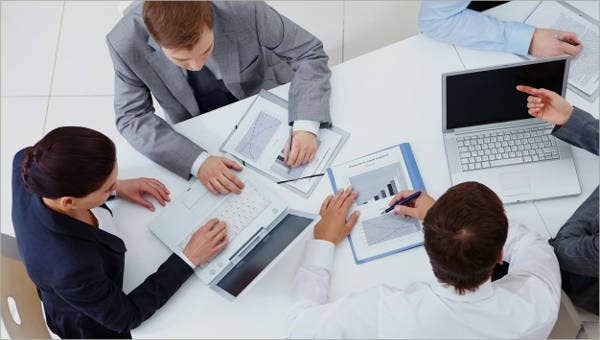 An in-depth knowledge of sales and marketing, so as to be able to predict and keep up with trends so as to be able to service your customer base. Computer skills, which would help you if ever you had to use different programs as part of your work, such as Microsoft Office. 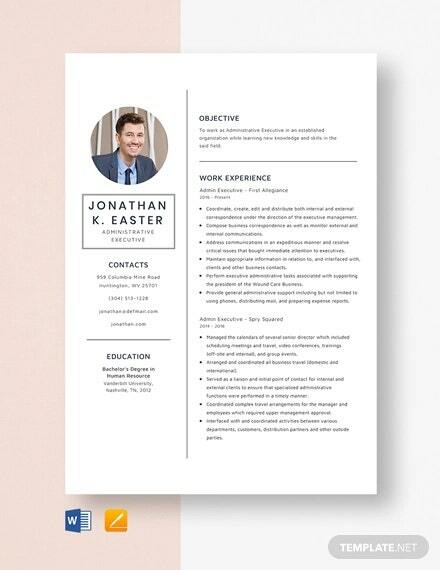 Keep your resume organized and neat. 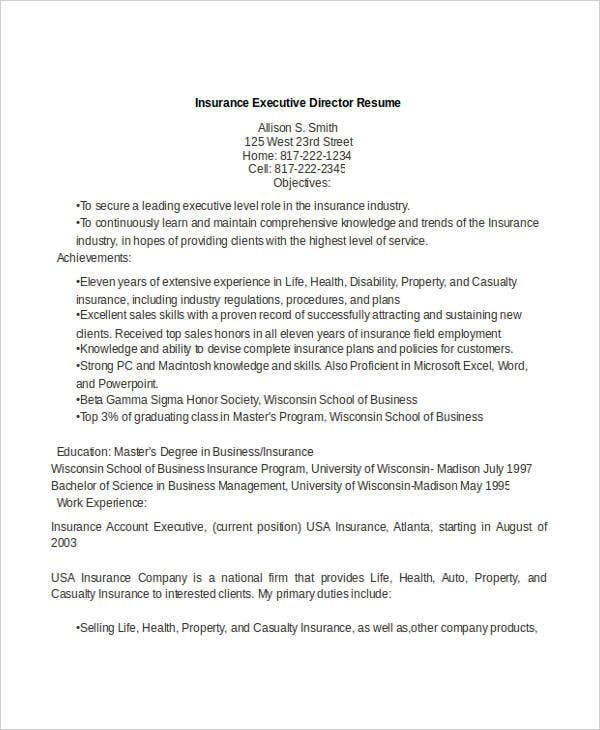 This makes it much easier to divide the resume into parts so that information can be gleaned easily on a first glance. On a second glance, it is easy to process all the specific information. Be concise. This is not only for the benefit of HR but also evidence that you can manage your time well, which is an invaluable skill for any high-powered position. Be specific as to your achievements, so that they can paint as positive a portrayal of you as possible. These achievements are concrete examples of what you can do if you were given a position, so be sure to be informative. Make sure that your accomplishments are reflective of your skills, as this is an opportunity to demonstrate your skills in action. 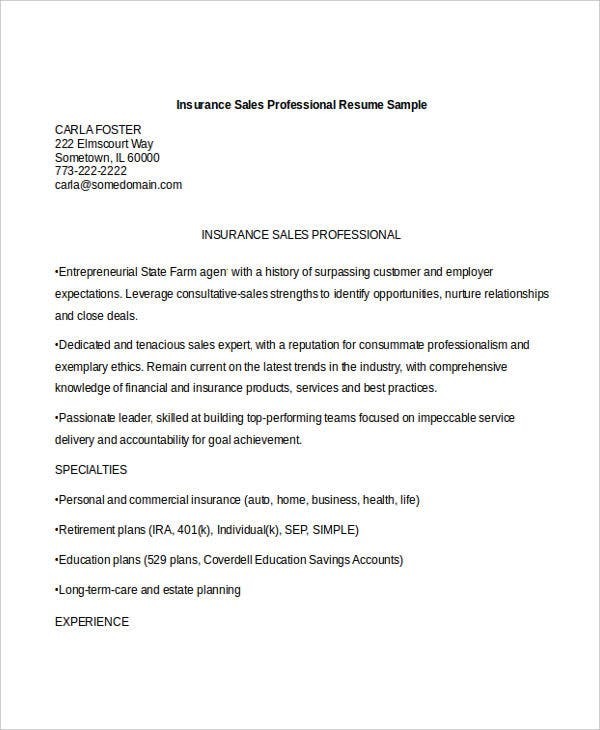 And if you should find yourself in need of other kinds of resume samples, there is a wide selection readily available elsewhere on the website. This way, you can be sure of finding a template that you can use, no matter what position you want.